LA JOLLA—The Salk Institute is honored to welcome Dannielle Engle back to Salk as an assistant professor in the Salk Cancer Center. She is currently a senior fellow at Cold Spring Harbor Laboratory in New York, where she focuses on the early detection and treatment of pancreatic cancer. Engle conducted research in the lab of Salk Professor Geoffrey Wahl for six years as part of her doctoral program at UC San Diego. Pancreatic cancer is one of the deadliest cancers because it is difficult to detect and especially resistant to treatment. As part of her postdoctoral training with David A. Tuveson at Cambridge Research Institute (UK) and Cold Spring Harbor Laboratory, Engle developed miniature pancreas organ cultures (“organoids”) with both human and mouse cells to identify biomarkers and treatments for pancreatic cancer. The Salk Cancer Center (one of only seven National Cancer Institute-designated basic research centers in the country) recently launched a five-year, $55 million fundraising effort called the Conquering Cancer Initiative to tackle five of the deadliest cancers, one of which is pancreatic cancer. Engle’s recruitment was made possible in part by the initiative’s supporters—including Salk Board Chair Dan Lewis and his wife, Martina Lewis, who recently added a $2 million gift to a previous million-dollar commitment for the purpose of recruiting outstanding faculty. 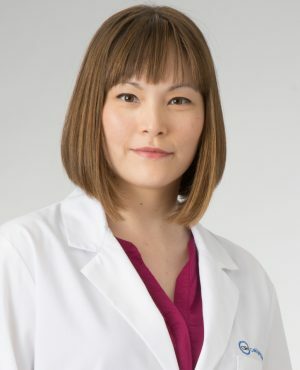 Engle holds a bachelor’s degree in biological sciences and Asian studies from Northwestern University and a doctorate in biological sciences from the University of California San Diego. She is the recipient of a California Breast Cancer Research Program Fellowship, a UC San Diego Chancellor’s Fellowship and a National Institutes of Health/National Cancer Institute Career Transition Award, among other honors. She begins her appointment in January 2019.